The title of the talk was “Me here, them there, me there, we here. 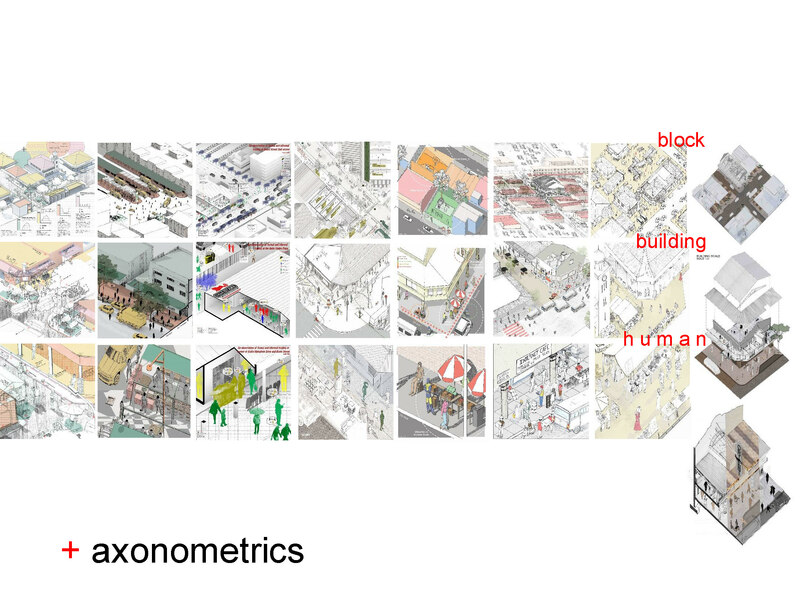 Some applications for conventions of architectural representation in the recognition of informal values.” The paper, which was jointly written with Stephen Steyn, presents the visual complexity of axonometric drawings which allows students to access new knowledge about the complex urban environment within which they are working. These drawings serve as mechanisms in the production of empathy since they combine the ‘other’ of the architectural section with the self of the architectural plan. And while perspectives produce points of view, axonometric projections can be constructed from combinations of visual documentation and interviews. As such, axonometric techniques effectively produce interviews as a means to access values present, but often invisible, in complex informal sites. In doing so, they create opportunities for new bonds to form between the haves and the have-nots — “us” and “them” — within urban contexts, particularly within informal settings in the Global South.